Next to OmniFocus and Accordance, TextExpander has become one of my most frequently open computer and iOS applications. TextExpander does just what its name suggests: it allows you to type text abbreviations that automatically expand into pre-selected text. So I can write “.omni” and my long OmniFocus task capture email address pops up instantaneously. There’s also a wonderful “Accented Words” section so that I can always type résumé correctly (snippet is resume’) without having to remember how to type accents. There’s a nice “HTML and CSS” pre-defined set of snippets, too, which are useful in blogging, Website writing, etc. The most amazing feature? You can create a snippet and then have the cursor positioned in the middle of the expansion. This could be useful, for example, when you’re citing the same source in a research paper, but need to just change the page number with each citation. 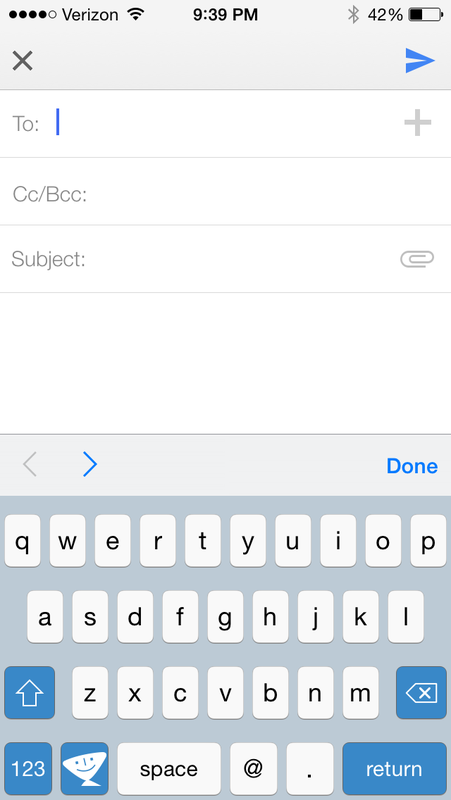 The iOS version–TextExpander Touch–is universally useful now that iOS 8 supports third-party keyboards. You can use it (via switching keyboards) in Gmail, text messaging (“;txt” can expand to mean, “leaving soon, home in five minutes”), and more. The keys don’t pop up/out as much as the regular iOS keyboard does; it’s not a very easy keyboard to type in. But if you’re not using it as a primary keyboard and are just typing your snippet abbreviations into it, it works well enough. 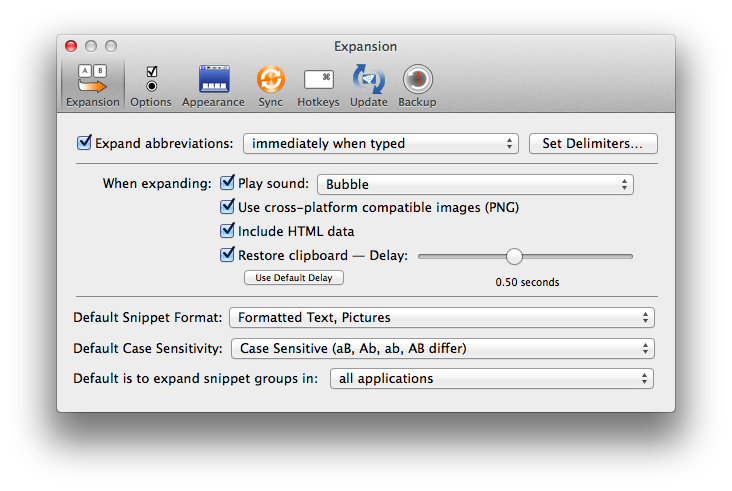 And, conveniently, TextExpander on Mac and TextExpander Touch can sync all your snippets seamlessly and automatically. Learn more about the Mac app here and the iOS version (for iPad and iPhone) here. The folks at Smile Software kindly supplied me with a license of TextExpander and TextExpander Touch for the purposes of writing this review, but with no expectation as to its content.